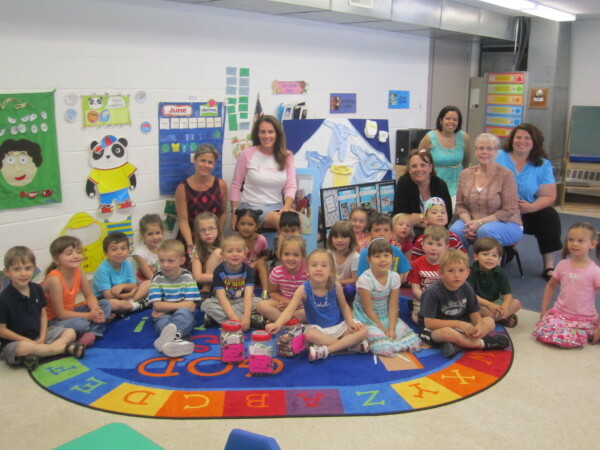 (Goshen, NY- June 10, 2012) For two months, preschoolers at the Helping Hands Christian Preschool in Goshen collected nickels to help raise money for families with babies hospitalized in the Neonatal Intensive Care Unit (NICU) at the new Orange Regional Medical Center. The Nickels For NICU Families fundraiser was launched in conjunction with Hailey’s Hope Foundation, a local nonprofit organization that supports NICU families. More than 100 students helped successfully raise more than $500 (in nickels) and collected baby-friendly items, including diaper bags, blankets, pacifiers and onesies. Since its inception in December 2007, Hailey’s Hope Foundation has raised more than $400,000 and provided support to over 800 NICU families.